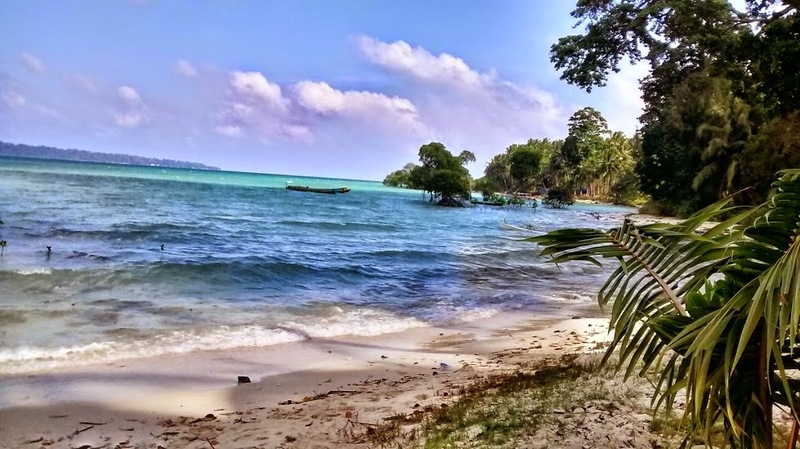 We all know about the Andamans from our history books but rarely do we get the opportunity to experience the geography of this very picturesque part of India. Here is a short, photographic record of our visit to this little visited part of India. We arrived in Port Blair and walked into the pages of the history book that tells us about the Cellullar jail where so many freedom fighters, ( or "terrorists" from the British point of view) were incarcerated or even martyred. The cellular jail was referred to as Kalapani, the place beyond the Black Waters of the unknown sea. But today, we see this sea, not as black but as a brilliant shade of blue, the Neela Pani! Our last port of call was Ross Island, the administrative, social and cultural heart of the British Administration at Andamans that was occupied, along with the rest of islands by the Japanese during WWII and is now naval base for the Indian Navy. There are many remnants of the Japanese occupation here. exploring Ross Island on foot was almost like living out an adventure from the Famous Five books of Enid Blyton. Islands, forests, deer, abandoned bunkers and what not! 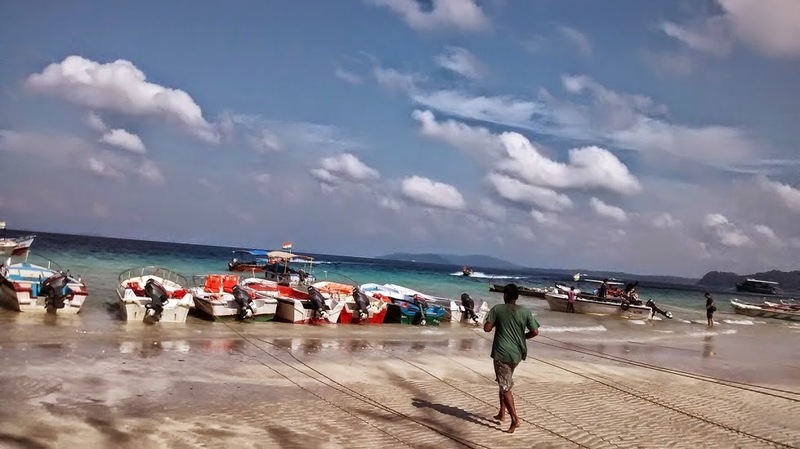 Now that we have seen all the pictures let us say a few words about the Andaman Islands. Though these are a part of India they are physically closer to Myanmar and Malaysia. In fact, the islands are a part of the Arakan Range of mountains that run through Myanmar and represent the peaks of mountain range that is otherwise submerged in the waters of the Bay of Bengal. Hence walking through Port Blair will remind you of walking through Darjeeling or Simla -- the roads rise and fall like any hill station road -- but of course the temperature is quite warm since it is very close to the mean sea level. So you can call it a sea level hill station! Most of the people on the Andamans are Bengali speaking settlers from erstwhile East Bengal and Bangladesh plus Hindi speaking immigrants from the heartland of India. The original people of Andamans -- the so called aboriginals, of negroid stock -- are almost extinct, wiped out after coming in contact with modern society. However small pockets of the original natives survive on reservations where us, modern Indians, are not allowed to go without specific permission from government authorities.